From fizzing lightning to ice and snow, marvel at the wonder of weather! Can you imagine that every kind of weather, from snow to boiling sun, tornadoes to hurricanes, is happening somewhere in the world right now? Become a weather-watcher and explore its variety and excitement in an awe-inspiring fact book of stunning full-page scenes. 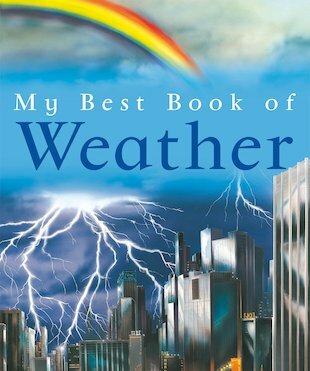 You’ll witness the dramatic forces which cause severe storms, see how weather affects our planet – and have a stab at the trickiest job on earth: being a weather forecaster!